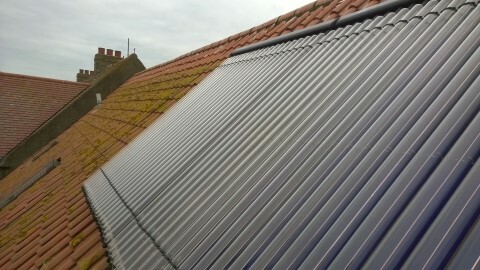 40 tube – 4m2 Kingspan Thermomax solar thermal system with 2 x Centerstore 190ltr solar cylinders to provide domestic hot water. 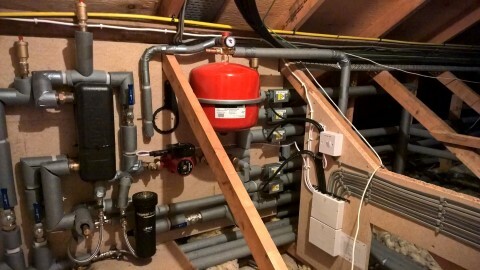 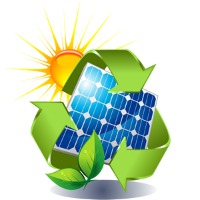 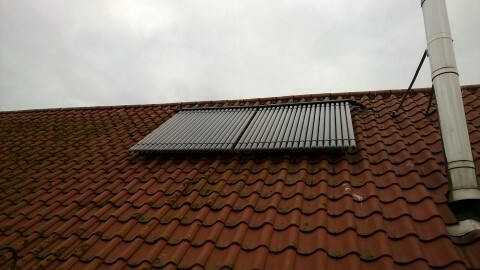 A system of this size and design will earn around £2300 in RHI payments over the 7 year Renewable Heat Incentive period, and also provide around 78% of the annual domestic hot water requirements from solar energy. 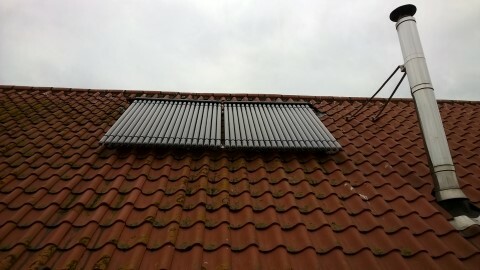 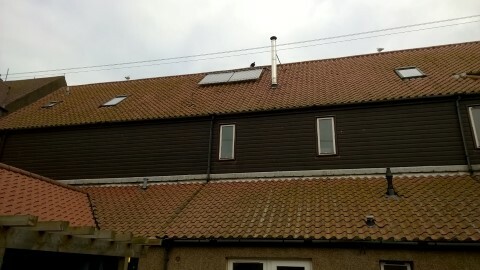 As a Kingspan accredited installer these solar thermal tubes carry a 20 year warranty when installed by us. 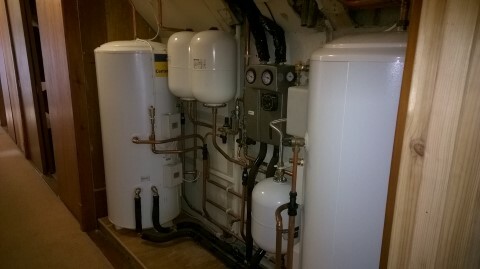 Ideal Vogue S32 system boiler with additional heat exchanger, new radiators, valves and pipework to provide central heating to the 1st, 2nd & 3rd floors. 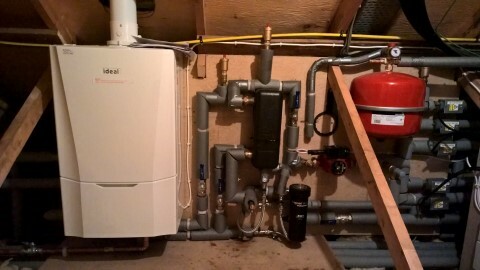 The Vogue S32 system boiler carries a full 10 year guarantee.